Just as the game, the forum has it's own rules similar to the game ones, but also it's own staff team. Here at the forum is where all the updates, downloads, events, and other cool stuff goes down. This a big community with many people taking a part in it so rules are needed. The forum rules can be found here, and they're just as important to follow as the ingame ones if you spend time on this forum, so be sure you read them through. If you can't behave and follow the rules, the mods here might lock/remove threads from you, warn you either directly or via PM. And if you can't behave, you might even get banned. The forum mods are here to help everyone, doesn't matter if it's forum or game related, they're always a helping hand. They're the ones deciding what will happen here on the forums and the ones making sure there aren't any troubles. If you see something that doesn't belong here on the boards, you can always report it via PM. The moderators you see here on the forum are the same as the ones in-game. A forum moderator is a game moderator, and a game moderator is a forum moderator. That means you can contact any moderator you see here on the forum regarding game matters. As mentioned, they are here to help, and they are the ones checking up on the whole FeralHeart board. If you need assistance with the forum or maybe even the game, they're the ones to contact. There's also several different kind of mods. And mods should appear in another colour than the rest of the users you see on the site. There's Administrators, Global Moderators, Moderators, and Mods in Training, just as an example for people that are on the staff team. Some slots may not always be filled, but that does not mean there is not sufficient staff to answer your question. For a complete modlist, look here. If you are looking to be a part of it, the best tip is simply to help out here on the boards and in-game. Being a helpful member, always showing interest, and contributing to this community goes a long way. There's no real way to just "apply" for being a mod, and if that opportunity comes, the staff will let you know. Everyone that logs onto the forum will have a forum toolbar, This toolbar is placed right under the banner and above the forum boards, and is how you use most of the forum in an effective way, but also what holds a lot of modifications. As you can see it consists of a few things, and even though they're rather visible, many people skip looking into how they work. This wonderful button always brings you home to the forum index/the main page. So if you're getting lost in the sea of threads and posts. Just click home and you're back to square 1. This button mostly contains help about how to use the SMF forums in general. Nothing extremely important for the avarage user. This lets you search through all the posts in the forum. If you want to know if anyone posted about pickles in the past, just write pickles and hit enter! This tool is useful if you're looking for help, or want to see if others might've had the same issue as you had. This button is interesting; it takes you to your own profile panel that lets you change things like your avatar. If anyone sent you a message or a reply on something you sent, a number will appear beside this text letting you know you have a message. Here, you'll find the memberlist. All this does is show you a list of the members on the site. You can search for other users like yourself here, too. You can log out of the forum area here-- nothing special. Just as you have a profile and a customizable character in the game, you're able to set modify your own profile here on the forums. This will be shown whenever you make a post on a thread, or when someone is viewing your profile. Just click the "Profile" text in the toolbar and it will bring you to a new page that allows you to modify your profile and change some forum settings. As you can see here, this is the place that shows all the information about your profile here on the forums, but also what others will see when they visit your profile. We will look into the "Modify profile" action since it's what lets you modify YOUR profile. This page is for some of the main settings when it comes to your profile-- it's also the fun part. On this page, you can set your own personal avatar, signature, and personal texts. Avatars are the small images that are shown next to every post you make. Signatures are the boxes below people's posts. These can have pictures, texts, links to other sites, etc. In here you can change/set your birthdate, location info, and other info about you. You can add links to your social media websites outside of Feral Heart, along with other fun widgets. It also has options like showing you when you're online, if your email should be hidden for others. This is a rather simple place that doesn't need to much checking up on. It lets you decide things like what should be shown when reading the threads, how to load the pages, and the time. Set if you want to get notifications from the forum sent to your email or not. This page lets you manage options such as if you would like to select the option of showing a popup when someone messages you, choosing how Private Messages appear in your inbox, and selecting who you will allow to send you forum messages. This page lets you block (ignore) users that might be annoying you here on the forums. This will prevent them from sending you PMs. This page also shows your buddy list and lets you add new buddies. Common things to do is to change the avatar and signature. When you change the avatar, you can either upload a picture directly from your saved computer images, use a direct URL that links to your image, or select for no avatar. Be sure to save when you're done. If you experience issues with uploading your avatar picture, make sure it's not too big (100 x 100 is the standard/ideal size). If you want to post pictures inside your signature (or any post, for that matter), you need to know about the IMG code. The IMG code is used to post pictures inside post on the forum, and it work the same way when you want to post an image in your signature. That would make it show the picture instead of just a link to it. This works with any picture that has a direct link. And if you have a picture on your computer that you want to use, you can upload it to a site like imgur.com, photobucket.com, or another similar site . This cover the most important parts, but if there's any other questions, you can always make a help thread or ask a mod. If threads like these don't cover your questions, there's still ways to get help. As mentioned in the earlier posts, you can always contact a mod or members of this community via the PM function. Most will be glad to help you out. However, there's also a help section here on the forum. And if someone's got a tricky question regarding the game or forum, they can ask for help there as well. It's pretty much self explanatory. The Game help section is for questions regarding the game, such things as the game not starting and you're getting frustrated since you haven't found any solution for it, items missing inside the game, weird crashes, etc. This is the place to go! The forum help is for other questions more on the side of the website, such as not being able to log on the site with a different account, account doesn't get created, how to post moving text, where to post something, profile help, etc. Similar things. This is just to split up all the help threads we're getting and to make it both easier for the ones posting and for the ones trying to help those in need of help. There's always plenty of ways to get help, just as long as you're polite and willing to actually receive help from others. A big part of the game itself is to be able to be creative, it can be from just roleplaying in the game to making maps and presets. Customizing FeralHeart is definitely a big part of the game, and that's why it has its own little part here in this thread. If you play often, you'll most likely end up customizing your game as well. How do I learn making these maps and "presets" everyone is talking about? Actually, it's not that hard if you just get a good start. Making these things have been simplified to the extreme compared to how it used to be in the past. As long as you are determinated to learn, it will be rather pain-free. If you're in the absolute first stages of learning how to make maps/presets, a good thing would be if you checkout our Documentation page on this site. It goes through the most things you need to know, just click This and you are ready to get started. Making these things does require you to have an image editing software like Photoshop or Gimp. If you don't have any of these, you can download Gimp for free here. If you'd end up needing an even more precise tutorial on how to make presets and/or maps, there's a section called "Member Made Tutorials" here on the forum. It's the place where people post all kind of tutorials and guides on how to make things for the game. Be sure to check that out as well if you feel creative. Two of the most regular things people do around here is that they show each other the presets they've made or create maps for their roleplays (or host a party in their new maps). So here's a quick guide on how to make it work. If your friend or the one you downloaded it from made and exported the preset correctly, you should see them with their new look next time they're using it in the game! If you had a finished preset you'd need to do the same in order for others to see them. Preset Sync is a separate download offered to you on the "Downloads" page on the website that will allow you to see everyone's preset automatically, without manually downloading their .fhp file and pasting it into the "presets" folder-- when you download the Sync, it does all of this for you. The way this works is that if someone uploads their preset to the Sync, anyone else who has the Sync installed onto their computer will see that preset, even if you've never asked them for that preset. For more information on how to use this, check out this thread. Maps are also a big part of FeralHeart. Hanging out in custom maps is usually a great place to socialize with company, but it's also a big part of joining private roleplays and feeling a bigger variation when playing. If someone made a map, itt's most likely put up on as a download link for those who want it. The thing is that most map includes more than just one single file, so these are packed into either a .zip file or .rar file for you to download. .zip files are easy to open and is needed to open certain programs. 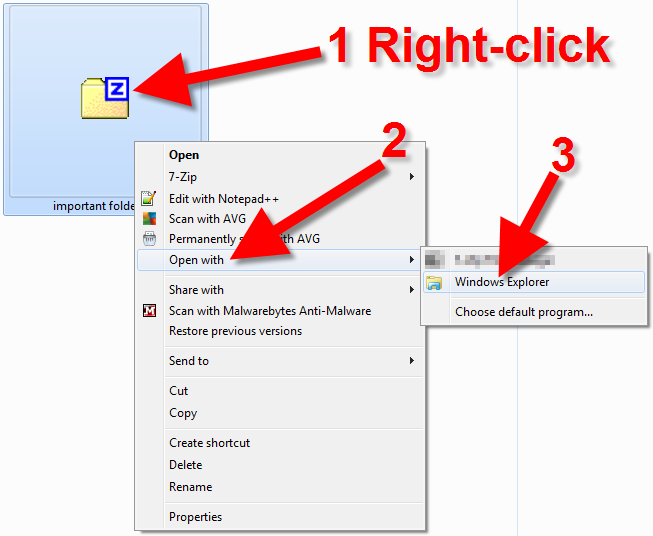 Just right click the downloaded zip file, and choose "Extract all" or "Open with Windows Explorer." 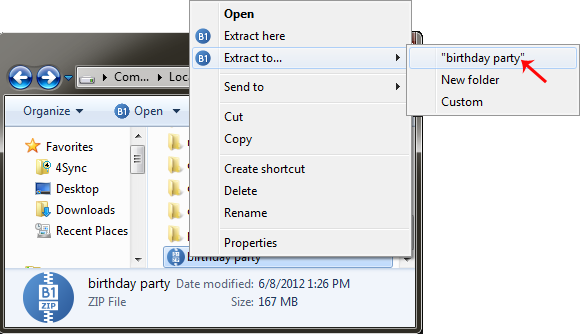 This will unzip the files to a new folder with the same name, making them usable. If you don't do this, chances they will work are extremely low. Depending on if you have a file like WinZip or 7Zip installed on your computer, your extraction method may look different. .rar files are another way to pack files into a bundle. Though this requires you to have Winrar or any other program that can extract these files on your computer, Winrar is free, and you can download it from their site or other sites hosting it. The .rar files work pretty much the same way. When having Winrar installed, just right click the .rar file and chose "Extract here," and it will extract the files next to the rar in a new folder, making the files usable. Sometimes the maps has more files than just exported .fhm and .fho such as .mesh .mat etc. If so, check the downloaded folder and see if there's any ReadMe text file for the map; the ReadMe will often tell you where to place files, often image or texture files, specifically. If there is none, and you need help, contact the map creator or seek out the help boards. When all the files are in place, the map should be visible from within the game! Just enter the map "Cape of Distant Worlds," located to the right of your Lonely Cave spawning point, and locate the globe portal. This will lead you to the downloaded maps. Head straight through the maps past the archway, and then the map portals will appear along the sides of the pathway, if exported correctly. And that's how you install maps for your game. There so much more that you can do with the game other than sharing presets and making maps. You can make your own emotes, customize eyes for the characters, make markings, custom skies for your maps, make meshes or your own objects, change textures, or install modifications, just to name a few. This thread would be endless if it were to explain how to make/use all of the modifications you can play with. 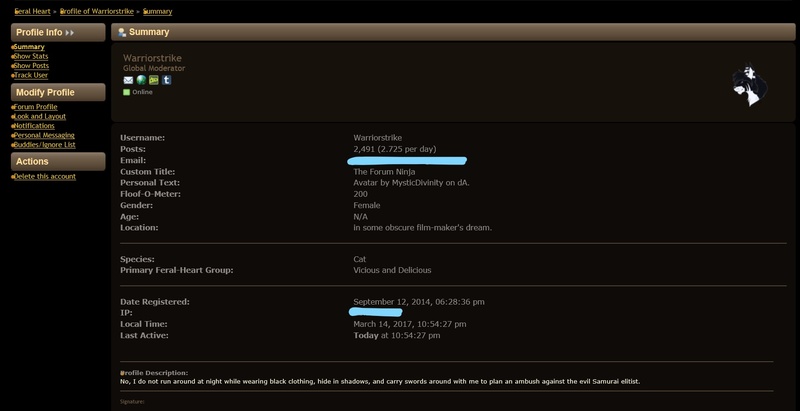 On the forum, we have a place called "Addons & Mods". In here, people post all possible creations they've made/are making for you to download or look at. If you want to download maps, look here. If you want to download presets or other markings, look here. If you want to download a mesh for the game, look here. If you want to download other kinds of mods that don't fit into those categories, look here. If you want to download anything for the game? Just look there. Same thing is if you want to show other members of this community something you're working on or want to share it. Just post a thread in a suiting section. Just whatever you do, do not steal someone else's work! If you still feel confused and don't know where to start, feel free to ask the people around here or make a help thread in the help section and someone will come jumping to your rescue.